Welcome to the Department of Medicine, Queen’s University and the Southeastern Ontario Health Sciences Centre. The Department is proud to be a part of one of the most historic medical faculties in Canada. Queen’s University is consistently a top ranked university in Canada. The clinical programs in Medicine occur in three teaching hospitals in Kingston. One of these (Kingston General Hospital) has been ranked as one of the best hospitals in North America. We are particularly proud of our Core Training Program in Medicine and have a number of very strong subspecialty programs which enjoy high visibility and impressive research productivity. Hotel Dieu Hospital and Kingston General Hospital have now joined together to create Kingston Health Sciences Centre (KHSC). The new hospital corporation became an official legal entity on April 1, 2017. The new hospital corporation has a single Board of Directors, CEO and Executive Team. It also has one budget and will develop and implement one corporate strategy for both sites. Staff at both sites are now employees of KHSC, which makes us one of the largest public sector employers in our region and the largest hospital corporation in southeastern Ontario. But along with these changes, much is remaining the same for patients and families. Under KHSC, each site will continue to fulfill its unique role, with the KGH site providing complex-acute and specialty care and the HDH site providing acute-ambulatory care. The HDH site will retain its Catholic identity and mission while the KGH site will remain secular. For the time being, both hospital sites will keep their existing websites, email addresses and phone numbers so that patients can still contact us with ease. Our processes for booking hospital appointments and for processing laboratory requisitions will also stay the same. Each appointment slip will clearly spell out which site patients should go to for their health care visit. One small change to be aware of involves hospital invoices. Patients receiving a bill for any hospitals services or supplies, such as crutches, will now need to make their cheque out to “Kingston Health Sciences Centre” rather than to KGH or HDH. 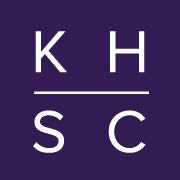 This is because the KHSC name will now be used on all legal, banking and other corporate documents. As part of this, KHSC will also assume legal custody of all personal health information and medical records and will follow all existing processes to ensure we are protecting everyone’s personal health information. Welcome, New and Prospective Faculty! Developing your academic career and considering relocation is exciting, but it's also stressful. The Faculty Recruitment and Support Program can be your confidential guide during this time. Not sure where to start learning about your prospective new community, and how you and your family can thrive here? We're here to provide personalized assistance identifying and addressing your and your family's needs before, during or after your relocation. You are invited to browse our website to explore the Queen's University experience, and discover the advantages of life in Kingston. Through personal contact with the Coordinator of the Faculty Recruitment and Support program, you can receive customized and up-to-date information on all aspects of relocation and immigration, to ensure that your questions about Queen's and Kingston are answered, and your transition is as smooth as possible.